Getting a home appraisal is something that some people would consider for a number of purpose. Home appraisal is also known as property valuation. Real estate transactions often require the service of an appraiser to valuate their properties. This is due to the infrequency of real estate transactions. Each property is unique and putting a value and naming a price is often one of the most difficult process of selling real estates. Appraisal is property valuation. It is done to obtain an objective value—it could be lands or properties. Appraisals in theory is an independent opinion formed by a third party known as appraisers to develop an opinion of value. The value and the price of the house is often decided by the market. 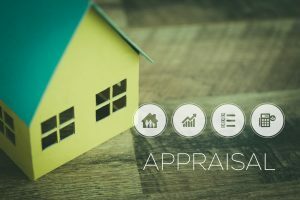 Appraisals include information in recent sales of the real estates in the area, the condition of the property, and it also takes into account information on sales of similar properties. An appraisal is done through a complete visual inspection of your property. An appraiser typically spend twenty minutes to several hours in the property, depending on the size and complexity of the property. Real estate appraisals are done by trained professionals. In Britain, they are more commonly known as valuation surveyors. In many countries, appraisers need to have license in order to be able to offer their service. An appraiser is often managed by an appraisal management companies. Real estate appraisal is something that is heavily regulated because of their important role in deciding the value and the price of a property. There are commonly three stages of being an appraiser; appraiser trainee, licensed appraiser, then certified appraiser. What do they look for in home appraisal? Appraisers looks for your house’s physical characteristics. These physical characteristics include square footage, number of bedrooms, number of bathrooms, lot size, and other factors. Views from within the house (if there is any) is also considered. Home appraisers don’t put value to the things that are not affixed to the property. Therefore things like furnitures and decorations are not part of the appraisal process. Home appraisers also evaluate your property’s observable exterior and observable interior. Things such as cracked ceilings, cracked plasters, broken windows, faulty faucets and such affect your house’s perceived value. Make sure to check things like plumbing, and light fixtures for anything that might be faulty or broken. Your house needs to function as it’s supposed to, so do reparations where it’s due. Why do people do home appraisal? People do home appraisals for a number of reasons. A number of real estate people and even average homeowners alike enlist the help of home appraisers when they need a third party opinion or when they get multiple offers. Home appraisals are also done by people who’d like to lend money from financial institutes. Home appraisals are done to assure the lenders of the money the value of your house. It provides a more solid documentation on the value of your price that is supported by observable facts.